Labdoor tested six CBD oils and five hemp oils for cannabidiol (CBD) concentration, tetrahydrocannabinol (THC) concentration, total cannabinoids, heavy metals (lead, cadmium, arsenic, mercury) and microbial (total plate count, yeast, mold, coliforms, E. coli) contamination. All CBD oils and hemp oils tested by Labdoor met all standards for heavy metals and microbial testing. However, there were major issues with label accuracy for five of these products. Three CBD oil products failed Labdoor’s label accuracy testing for not having the amount of CBD claimed on their labels. These products claimed 250mg/bottle of CBD each but were only tested at 97mg/bottle, 141mg/bottle, and 186mg/bottle of CBD respectively. Two hemp oils did not disclose CBD or cannabinoid content on their labels, which meant that Labdoor did not have enough data to give these products a label accuracy score. That is why these two products did not receive a Labdoor Grade. It is commonly believed that hemp oil products do not contain CBD. Labdoor’s testing results show that this is not true. Hemp oils were measured to contain 223mg/bottle to 264mg/bottle of CBD and 239mg/bottle to 314mg/bottle of total cannabinoids. CBD products tested by Labdoor ranged from 2mg of CBD per dollar to over 19mg of CBD per dollar. 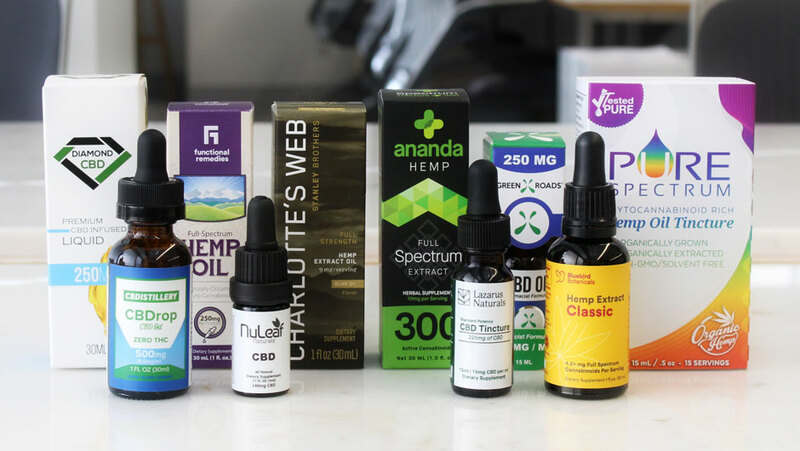 CBD shoppers should check Labdoor’s CBD Oil Value Rankings and Hemp Oil Value Rankings to see products ranked based on the amount of CBD or total cannabinoids each product provides per dollar to make sure they’re getting the best deal on their CBD. All CBD products passed Labdoor’s legal THC testing, proving that they contained less than 0.3% THC content by weight. However, seven products had detectable (>0.01%) THC content, including one product that contained 0.17% THC. This should not have a major effect on most consumers but could impact people who are sensitive to THC or who are prohibited from consuming THC for work or competition. The 2018 Farm Bill legalizes hemp, defined as cannabis that contains less than 0.3% THC content by weight. Hemp-derived products, including CBD oil and hemp oil, contain large amounts of CBD and little to no THC. Up next in Labdoor's testing pipeline are other types of CBD products, including CBD tinctures, CBD topicals, CBD capsules, and CBD for pets. Follow @Labdoor on Facebook, Twitter, and Instagram for all the latest news.